© Andrew Matthews/Press Association, via Associated Press Meng Hongwei is a stark example of how Mr. Xi’s drive for control can come at the cost of officials’ safety. A year ago, the chief of Interpol, Meng Hongwei of China, watched as his country’s president, Xi Jinping, proudly told the organization that China would play a growing role in global law enforcement. China was among the safest countries in the world and “abided by international rules,” Mr. Xi told 1,000 delegates at Interpol’s general assembly in Beijing. Now, Mr. Meng has fallen afoul of the opaque, highly politicized legal system that critics said should have disqualified him from appointment to Interpol in the first place. On Monday, China’s minister of public security, Zhao Kezhi, told a meeting of senior police officials in Beijing that Mr. Meng was accused of taking bribes and other crimes. Neither Mr. Zhao nor the Foreign Ministry gave details of Mr. Meng’s supposed transgressions, or said whether they had taken place before or after his election as Interpol’s president in 2016. The biggest question hanging around Mr. Meng’s fate is why Mr. Xi’s government approved the downfall of a man it had put forward to lead the organization, which coordinates law enforcement activities among 192 member countries. Mr. Caster contrasted China’s handling of Mr. Meng with the criminal allegations that ended the career of Dominique Strauss-Kahn as managing director of the International Monetary Fund. The charges in that case — involving accusations of the sexual assault of a hotel maid in New York City in 2011 — were handled in a transparent way that is absent in Chinese prosecutions, especially in politically delicate cases. They ended with criminal charges being dropped against Mr. Strauss-Kahn, who settled a civil suit. Mr. Meng was charged by the National Supervisory Commission, an anticorruption body created in March to intensify the country’s campaign against graft and to give it firmer legal cladding. China’s courts and prosecutors answer to the Communist Party, and they rarely reject anticorruption investigators’ findings. Mr. Meng’s detention is almost tantamount to a conviction. Only after days of silence — and an unusual news conference by Mr. Meng’s wife — did China acknowledge that it was holding him and submit his resignation to Interpol. Mr. Meng has already become one of the most spectacular examples of how Mr. Xi’s drive for control offers little safety for officials, even for senior representatives of global organizations. Mr. Meng’s appointment, like his detention, almost certainly had the approval of Mr. Xi himself. The Ministry of Public Security is one of the pillars of Communist Party control, and corruption at its top also carries the odor of political betrayal. Mr. Zhao, the minister of public security, hinted at the meeting on Monday that Mr. Meng’s misdeeds were part of the “toxic residues” left by Zhou Yongkang, the once-powerful, grim-faced former chief of domestic security who was imprisoned for life on corruption charges in 2015. Yet until a couple of weeks ago, Mr. Meng, 64, was apparently at the height of a career built on enhancing China’s international reach and respectability in law enforcement. His election as president of Interpol symbolized how Chinese policing was becoming globally respected. As president of Interpol, he was based in Lyon, the French city where the organization has its headquarters, and he regularly gave speeches promoting Interpol’s priorities and China’s contribution to them. Mr. Meng’s apparent security imploded in recent weeks. His wife disclosed that he had disappeared while he was visiting China. A signal of his impending trouble, his wife told reporters, came when he texted an emoji of a knife. In addition to his position at Interpol, Mr. Meng was a vice minister of public security, and he appeared to win promotion as a steady hand managing China’s growing international policing interests and priorities. He supported China’s contribution to United Nations peacekeeping efforts in Libya and other troubled areas. He helped oversee a Chinese-led campaign to stamp out violent crime on the Mekong River in Southeast Asia. And he had a hand in Chinese police operations that reached abroad, including Operation Fox Hunt, which sought to repatriate hundreds of former Chinese officials and businesspeople who had fled abroad and were suspected of corruption. At a regular news briefing on Monday, a spokesman for the Foreign Ministry, Lu Kang, said that China’s commitment to international police cooperation would not be dented by Mr. Meng’s fall. “As a permanent member of the United Nations Security Council and as a responsible great power, China will continue playing the role that it should in international affairs, especially multilateral bodies,” Mr. Lu said. The new National Supervisory Commission superseded the Communist Party committee that investigated corruption and was given expanded powers to pursue cases throughout the bureaucracy. It has already brought cases that appeared to be only tangentially related to political corruption — which experts agree is rife in China — suggesting that its mandate includes securing the Communist Party’s political control. One prominent case this summer involved an independent journalist, Chen Jieren, who was charged with fraud and operating an illegal business for his writings. He appeared on television to confess in August, though his legal fate is not known. In May, Chen Yong, a driver for a district government in Fujian Province, died while in custody under a local branch of the commission. His body showed signs of beatings, Caixin, a Chinese business news outlet, reported. “It’s been said that anticorruption is about putting power into a cage,” Luo Changping, a former Chinese investigative reporter who exposed high-level corruption, said in an interview. 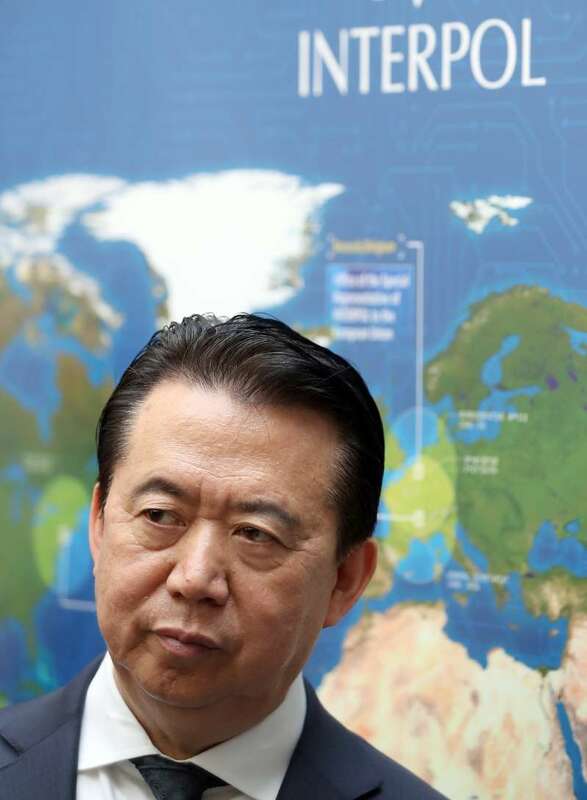 World - U.S. Daily News: Interpol Chief Was China’s Pride. His Fall Exposes the Country’s Dark Side.